A vote is your formal expression of opinion or choice. The same letters written with an added French accent become a voté, which means ‘voted’ and is called out each time a vote is cast at a bureau de vote in France. 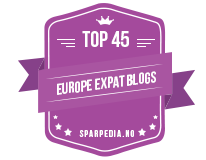 Yesterday the UK held it’s general election and although this may seem like an odd topic for a French blog stick with me, it has a decidedly French twist. As a European in France, rather than a French national, I can vote (and was voted for) in the local level elections and can cast my vote in the European elections, but my voice is a silent one in the departmental and national elections in France, as I have no right to vote. 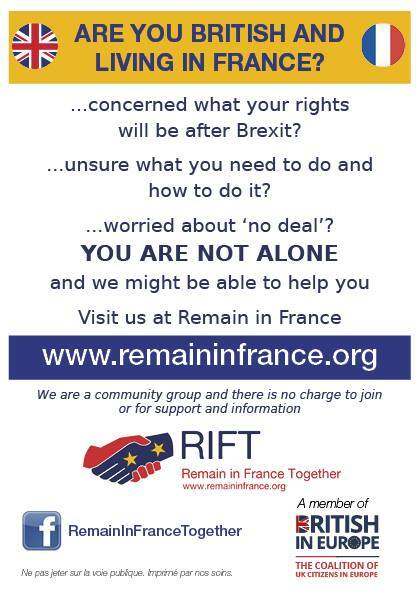 I’m not really into politics, but this annoys me, as I’m far more interested in the day-to-day decisions affecting daily life and taxes in France than I am in the UK, having left there over ten years ago. Despite this desertion I was still entitled to vote in the UK general election yesterday by setting up a postal vote, which I did. 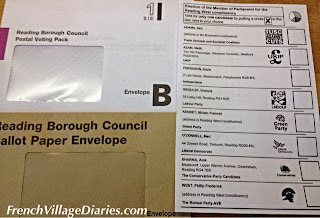 Like the elections in France I was presented with a list of names on the voting paper, however, unlike in France where you vote in an entire list of candidates (see here), in the UK I had to choose just one name by placing an X in the box. The list contained all the usual suspects, but tucked in at the bottom was The Roman Party.AVE, which wasn’t one I remembered from my years living in Reading. Following a bit of Internet research it seems I’m not the only foreigner dipping their finger into local politics, but some obviously have more ambition than I do. According to Wikipedia, The Roman Party was founded by a Frenchman from Bordeaux, who now lives and works as a bus driver in Reading and as an admirer of the ancient Romans, he credits “when in Rome, do as the Romans” as the basis of his policy, which sounds quite sensible to me. The party has been running since the 2009 European elections, although with little success. 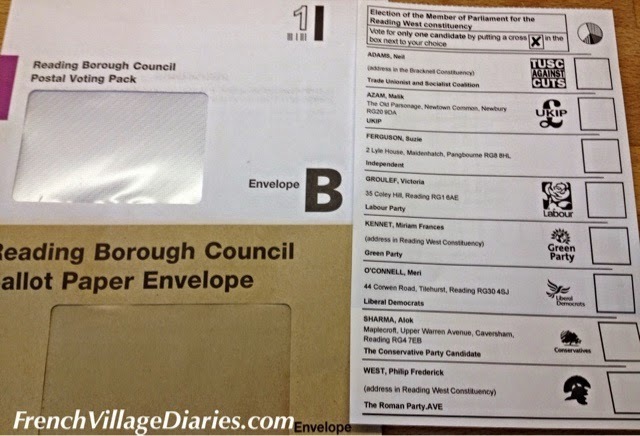 I thought it quite amusing that the British born French village councillor, who hasn’t lived in the UK for over ten years and who can’t vote for the President of France, could have voted for the Frenchman living and working in Reading and standing in the UK general elections.